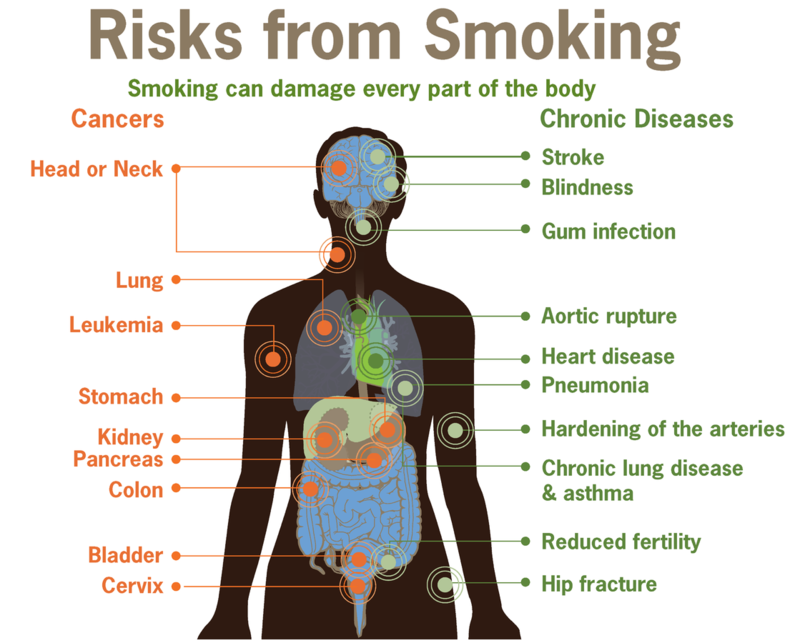 Smoking increases your risk of developing serious health conditions. 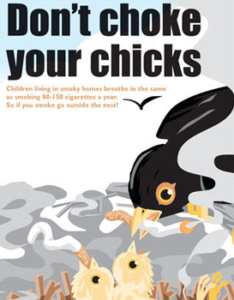 You can become ill if you smoke yourself or through other people’s smoke (passive smoking or secondhand smoke). 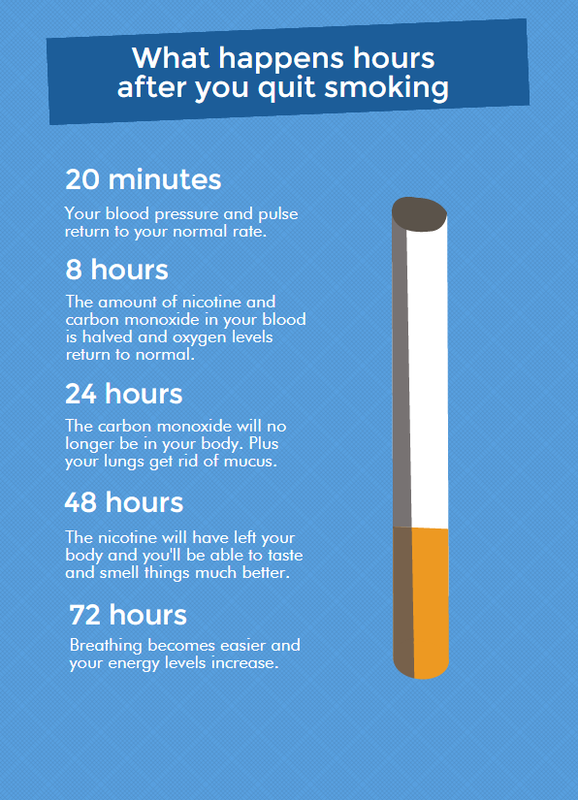 People who breathe in secondhand smoke are at risk of getting the same health conditions as smokers, particularly lung cancer and heart disease. 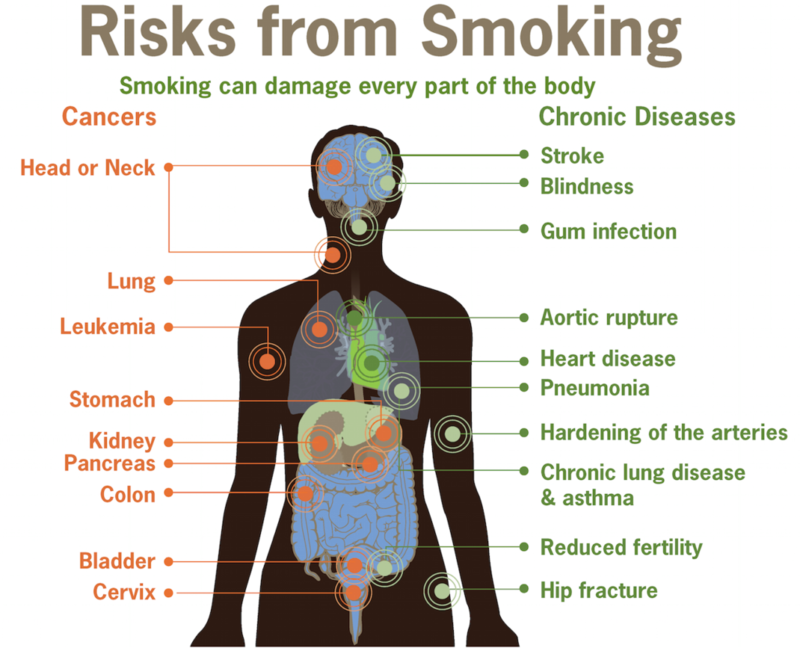 For example, breathing in secondhand smoke increases a non-smoker’s risk of developing lung cancer or heart disease by about 25%.